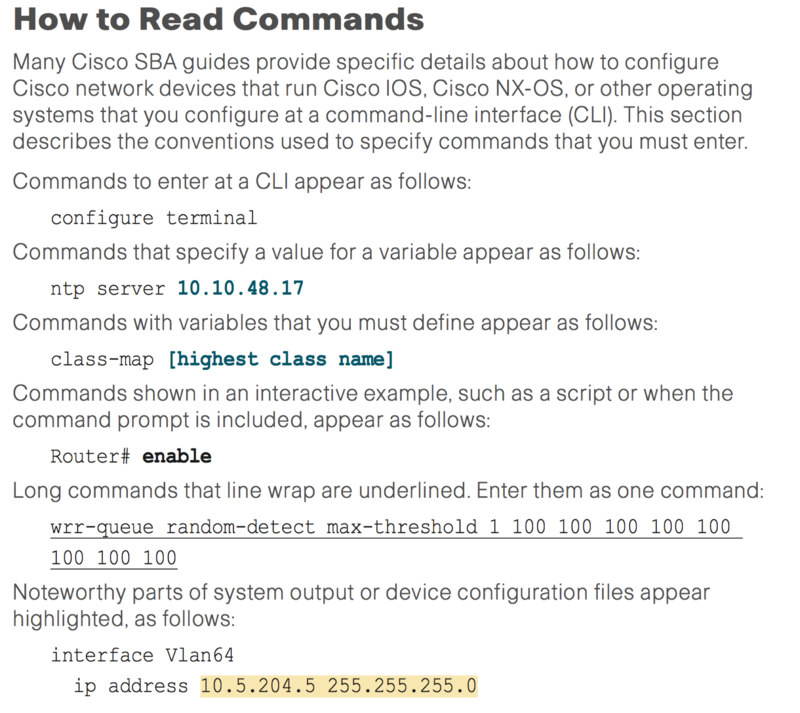 Saw this nifty documentation idea in the Cisco® Smart Business Architecture (SBA) guide today. The idea of using underlining to indicated that a CLI command has line wrapped is really quite clever way of showing. 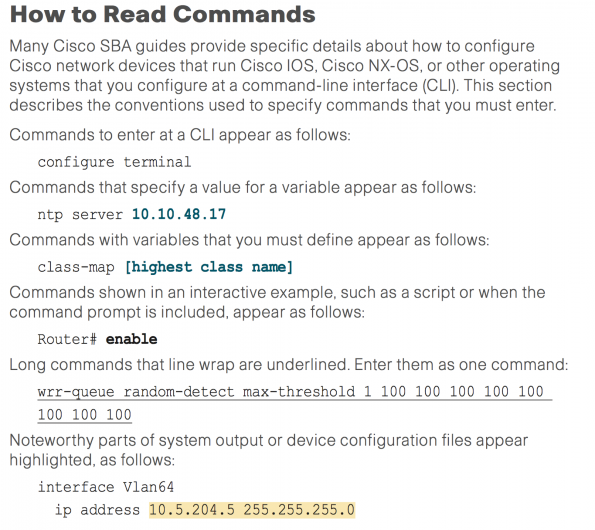 Especially for Cisco IOS CLI, it’s quite difficult to know where the end of line or to quickly determine the proper syntax. This a line wrap for CLI can be quite damaging, especially for internal documentation.